A quality constructed, spacious two-story home and a private three bedrooms, two bathrooms, apartment which can be rented in full, and will sleep a party of up to 21 very comfortably in the full complex. It is divided into three self-sufficient independent units. Each has an exceptionally large kitchen with top-of-the-line accouterments, full-size refrigerators and stoves, microwaves, and all linens, towels, (including bath towels) China, silverware and cooking utensils are included. You only need to buy your groceries. There is a secure parking lot off the street and security cameras, a laundry room with washer and dryer set up in a community area, and safety gates on the second floor for families with young children. Smaller dogs are welcome, for those who really wish to feel at home. Master bedrooms all have private baths, along with additional baths shared by the junior bedrooms. Each unit has a business center for setting up a laptop, as well as large plasma screen TV’s. The pool deck includes a waterfall, gazebo, shower and barbecue for outdoor dining. The brand new facility is located in an upscale neighborhood in the heart of the island, for an authentic taste of the fantasy tropical life. 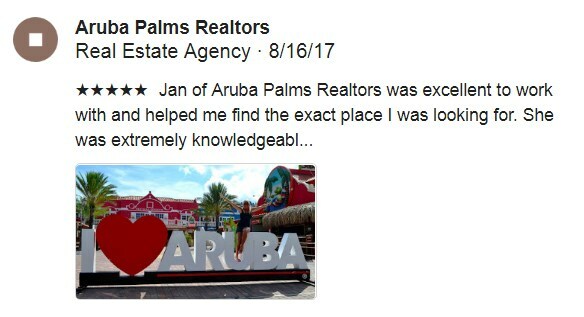 You can really feel like you are part of the community, while being only minutes away from some of Aruba’s most gorgeous, secluded beaches, supermarkets, excellent dining and favorite vacation activities. This beautiful house with private pool, terraces overlooking the entire island, and spacious room offer every amenity while allowing you to be totally in control of your vacation experience. Your every desire in an ideal vacation home has been anticipated and is provided. Located on a height, it offers privacy but convenience, and tranquil surroundings away from the hustle and bustle of the busy tourist scene, with breathtaking vistas from the terraces.